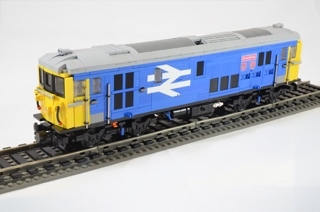 L-Gauge is an information resource for the LEGO® model train community. 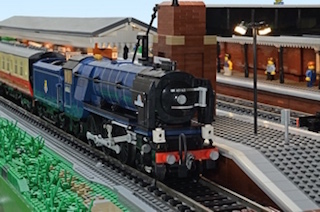 Our goal is to help support, promote, and educate fans and hobbyists interested in learning about and building model trains and layouts from LEGO® bricks. 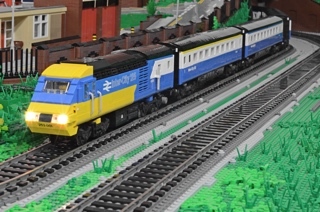 L-Gauge is not an official standard; however, there are a few recognized conventions and practices that have evolved over time in order ease collaboration among LEGO® train fans. The information contained in this site is the result of the collective knowledge, wisdom, and best practices from LEGO® train fans from around the world. Enjoy! Below you will find categories of information and resources to help you learn more about L-Gauge. This page was last modified on 17 September 2017, at 02:21. This page has been accessed 111,977 times.